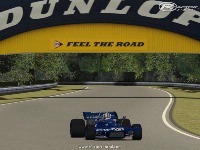 This is a model of Monza set in 1971. I have used numerous books, magazine articles and the internet to get as good a likeness to the track in-period as possible. Set up for 12 teams / 24 cars to run. The main buildings were created in SketchUp and all of the advertising hoardings were drawn by me, copied from the originals. Ennis Fargis for road textures etc. 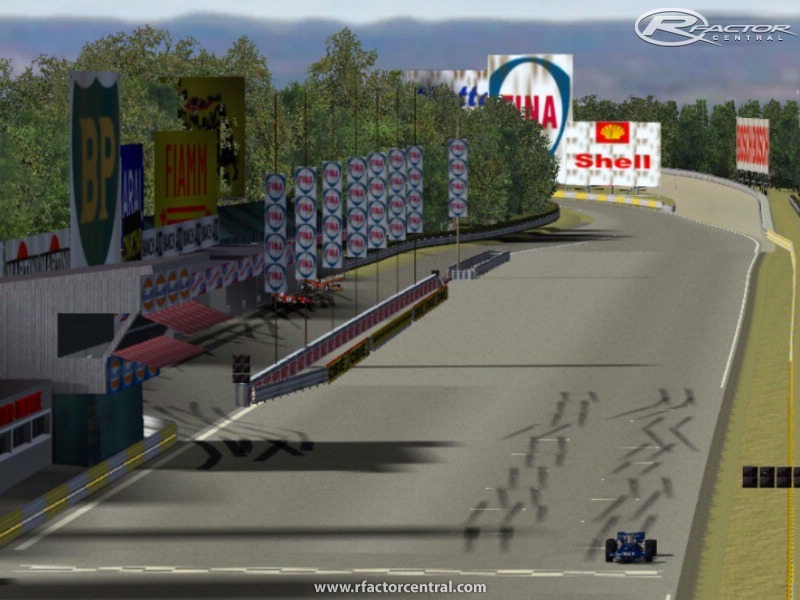 Grandstands Xpack too, but can’t find whose work that is, sorry!! Trees are from Great Britain (RBR) & Old Uk Advertising. Both excellent XPacks!! The track is an ongoing project, so as I find more details I will build them into the mod. Likewise any problems will be looked into, should they arise. I hope you enjoy this mod, I sure enjoyed building it! 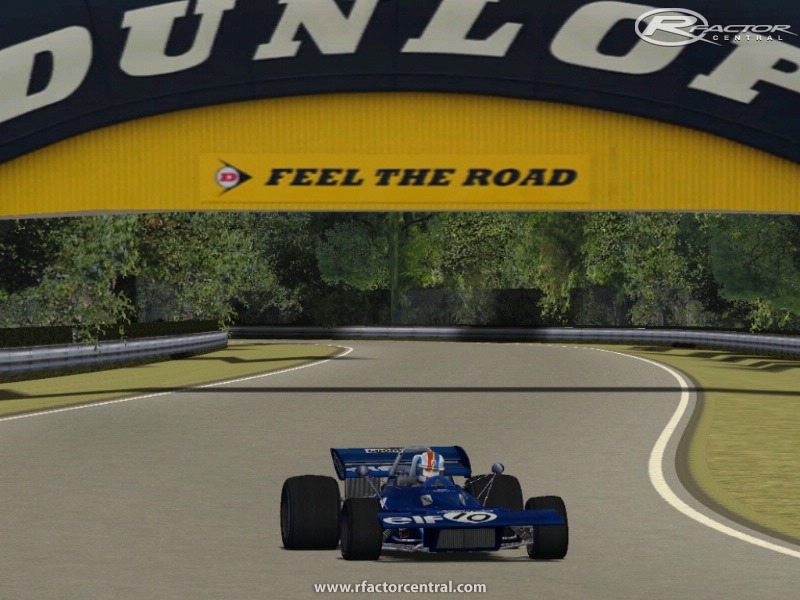 There are currently no setups for Monza 1971. Add a Setup. error opening mass file. sky.mas error man check your folder structure there is an error. you can't load the track! Nice link man, nice to know people are into the realism too. Thank you, everything will get assimilated into the model. Allright, the new posted version loads up and works OK. I would suggest using other hosts though, because files don't last on sendspace very long. Allright, the new uploaded version loads up and works OK. I would suggest using other hosts though, because files don't last on sendspace very long. ... I get the impression that Roggia, second Lesmo, Serraglio and Vialone corners are little too tight, while Curva Grande might be a bit too wide. I'd also say there were no dunlop or any other additional bridges hanging over the track anywhere (for sure not over the last straight, because there are photos from 1971 race showing how it looked back then!). 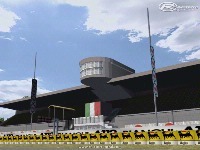 Moreover, there should be no trees on the right side of the last straight (between Vialone and Parabolica), these were removed when the pit complex and museum pavillon were built over there (the trees were standing only near Parabolica entry). All and all, lots of work still needs to be done, but this version is a step in the right direction. Absolute respect for all the comments, thanks guys. 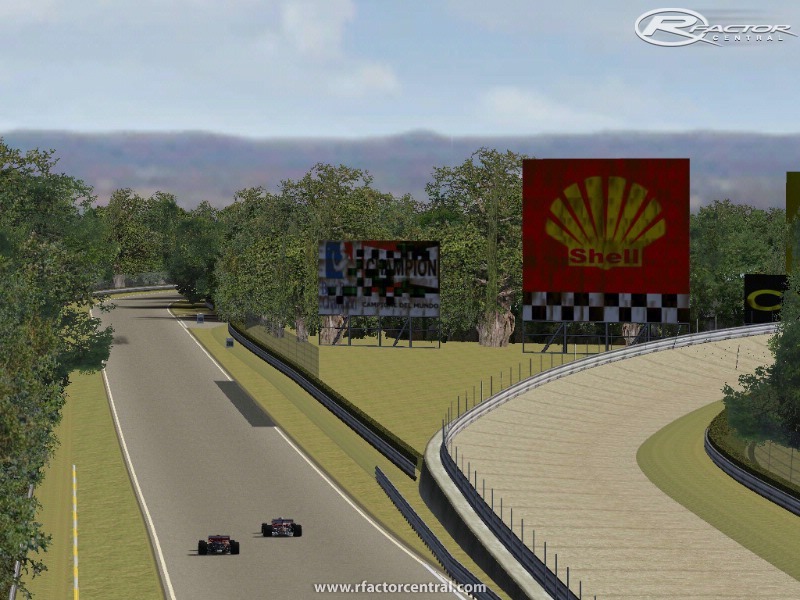 I have renewed the file structure so it goes Autodromo Di Monza / 71Monza. I've added a readme with fresh instructions too. This should be totally sorted now, I hope it is. Track works ok for me now, folder structure seems ok too, might be an idea to tidy up all the loose files into MAS files. Only slight cause for concern is why you use 'BobSTrackBuilder' as the 'VenueName' in the GDB, people will be wondering where the track is when they try to select it ingame, surely something more obvious like 'Autodromo_di_Monza' would've been helpful? 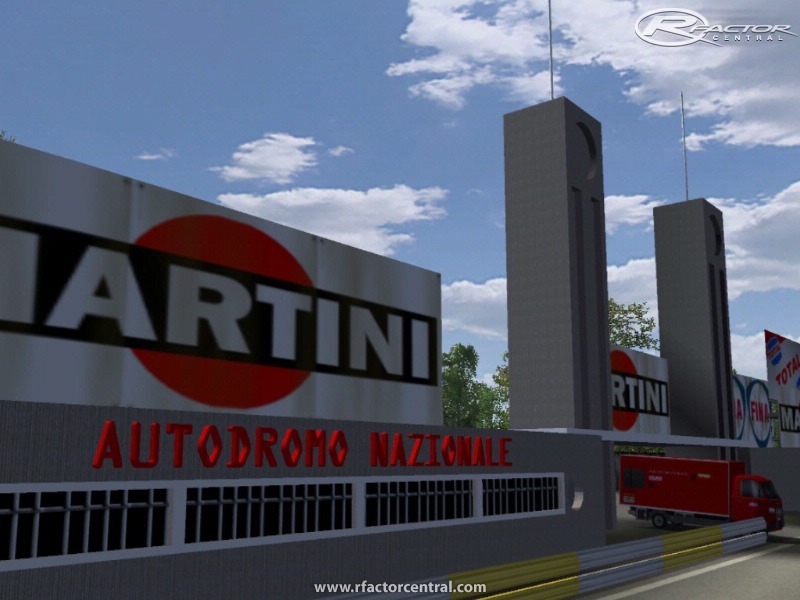 At first, I put an Autodromo_di_Monza folder in my GameData/Locations. The track does not show up in the game. Then I read the comment about BobsTrackBuilder folder, so I create one, drop the 71Monza plus sky.mas in it - the track appears on the list, but does not load up (sky.mas error). So, I download the track again twice, from two separate links, supposely "updated" versions. Result - track still not working. Mick, I apperciate the fact that you try to give us an pre-chicane version of this legendary track, but for Christ's sake, wait a few days and make sure you release it after all the file structure problems are solved once for all, otherwise it looks like yet another half-assed beta-version attempt which barely works at all. Or at least provide a short read.me file with instructions how to make it working, please. WOW !!! Nice Work Guy !!! I Love old and classic tracks of the World. UPDATE the new download 71Monza is available. This should be problem free. Hi guys, thanks for your constructive comments. I've addressed the sky.MAS and folder problems and that new folder will be replacing the mirror here shortly for now, try this and please get back to me if there are further problems. It's exactly the same version, just with the skies and folders rearranged.